On this site, you can get access to our latest news, Press Releases and images. 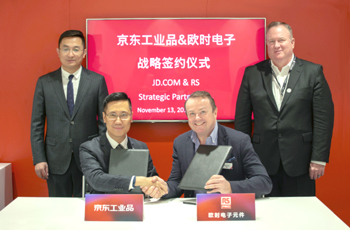 RS Components (RS), the trading brand of Electrocomponents plc (LSE: ECM), a global multi-channel distributor, today confirmed a strategic partnership agreement with JD.com, China’s largest retailer. The agreement includes the supply of more than 10,000 industrial products and consumables from RS PRO, the own-brand range of RS, which will to be made available on JD.com by the end of 2018. 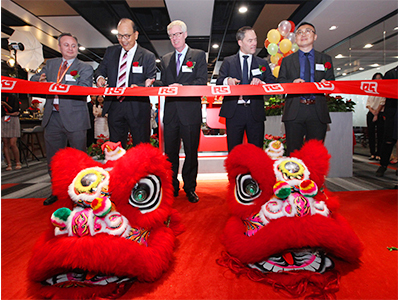 RS Components (RS), the trading brand of Electrocomponents plc (LSE: ECM), a global multi-channel distributor, has today opened its new regional shared services centre in Foshan, which will initially house around 100 employees focused on customer services, finance and inventory management. The Asia Pacific Centre of Expertise (CoE) will help improve customer experience through standardisation of process, improved accuracy and scalability. 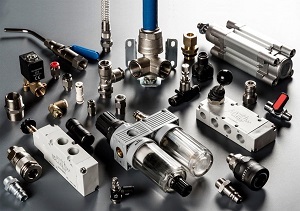 RS Components (RS), the trading brand of Electrocomponents plc (LSE:ECM), a global multi-channel distributor, has announced a major expansion of its portfolio of pneumatic components with the launch of a full range of very competitively priced RS PRO devices. RS Components (RS), the trading brand of Electrocomponents plc (LSE:ECM), the global distributor for engineers, has unveiled a new app for iOS, Android and Windows devices. 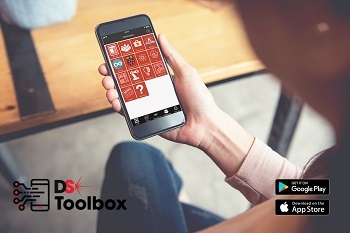 The DesignSpark Toolbox app is available to download free-of-charge, and provides a singlepoint of access to common electronic reference materials, calculation and conversion tools in an easy-to-use format for electronics design engineers, makers and students.